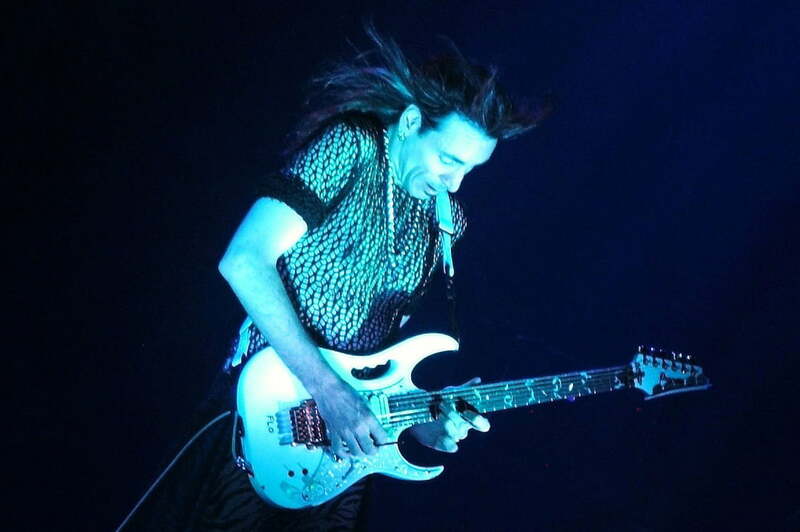 There are guitar gods, and then there’s Steve Vai. 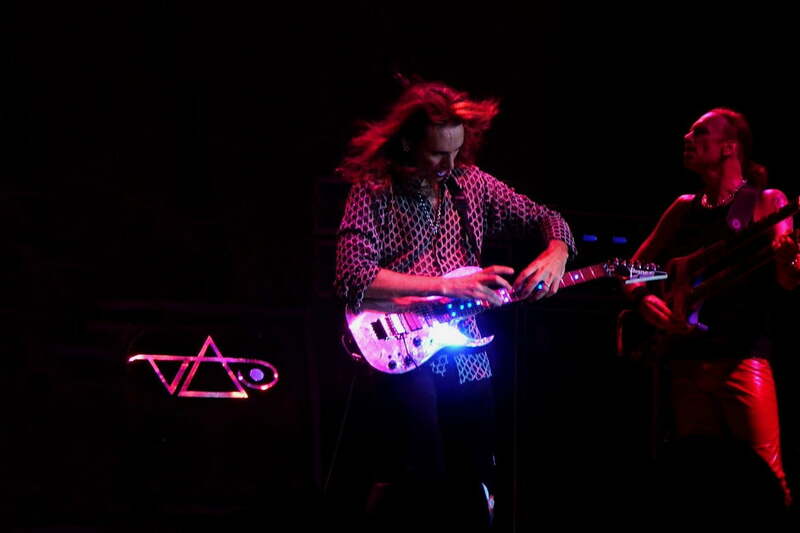 Vai catapulted the art of guitar playing into new realms the instant he became the designated “impossible guitar parts” player in Frank Zappa’s band while he was still a teenager. 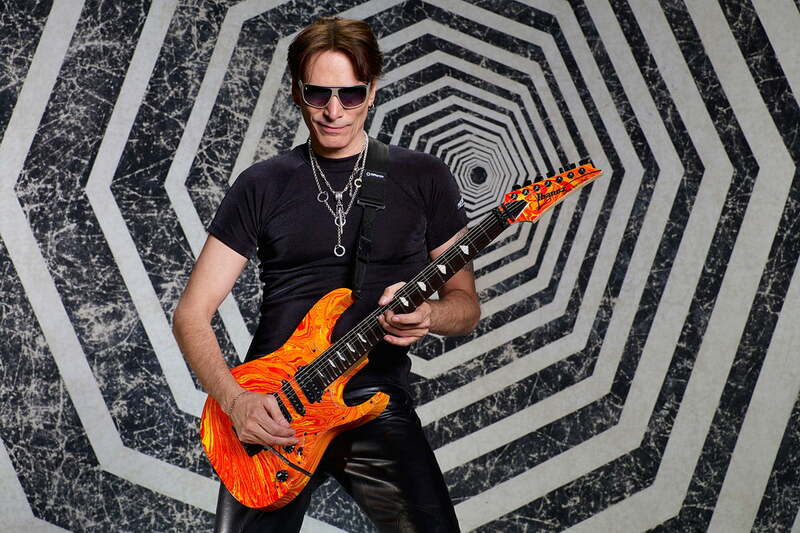 From there, he replaced Yngwie Malmsteen in Alcatrazz, was the devil’s chosen guitar player in the infamous guitar duel with Ralph Macchio’s character in 1986’s Crossroads, and helped David Lee Roth establish himself as a solo artist to be reckoned with on Eat ’Em and Smile, which came out 30 years ago this month. Now Vai is celebrating a milestone of his own — namely, the 25th anniversary of his highly influential breakthrough solo album Passion and Warfare, just released in a deluxe two-disc edition by Epic Legacy along with the bookend disc dubbed Modern Primitive, a collection of updated, never-finished works-in-progress from the era between his 1984 debut Flex-Able and Passion’s late 1990 release. 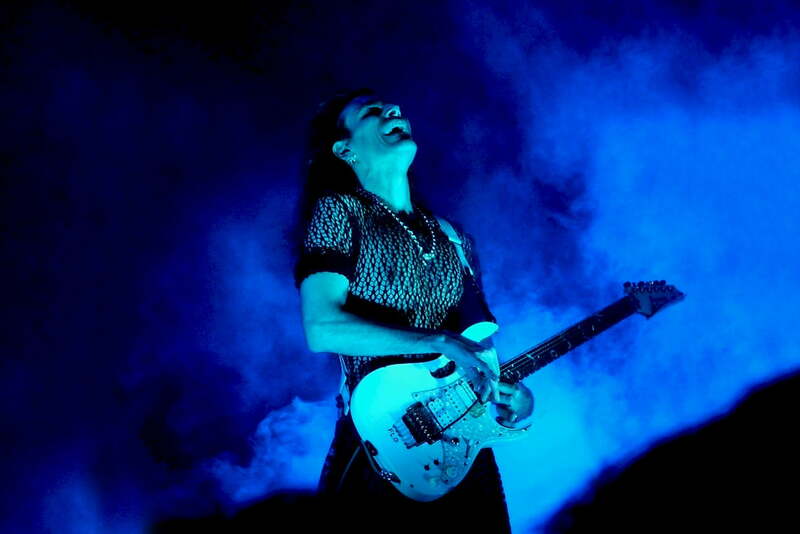 Passion and Warfare became a lightning-rod record for adventurous guitar players during the rising era of alt-rock, as Vai’s virtuosity on blisteringly soulful tracks like For the Love of God, The Audience Is Listening, and I Would Love To became instant litmus tests of the fretboard prowess of many a woodshedding guitarist across the globe. Digital Trends called Vai across the Pond while he was on a tour stop in Palma, Spain to discuss the sonic impetus of Passion, literally bleeding for his art in the studio, and why Frank Zappa still matters. Digital Trends: You went back and found the original half-inch master tapes to remaster Passion and Warfare the right way. 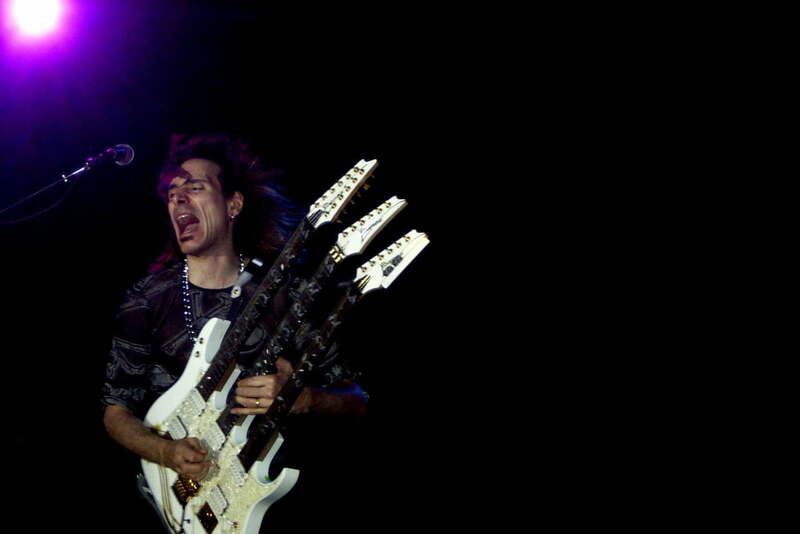 Steve Vai: Yes, they were being stored at Sony. They were difficult to find, but we found them. They were in relatively good condition, and we brought them to [expert mastering engineer] Bernie Grundman, and he did a transfer. So we now have a master directly from the analog master, and the vinyl is directly from the analog master. That’s great to hear, because a lot of reissued vinyl comes from digital masters, which seems a bit incongruous to me. That’s adding a step that’s unnecessary. It definitely changes the audio landscape a little bit. Is vinyl still your preferred listening medium, or are you OK with streaming? With music, humans want convenience and quality: ‘I want it now, and I want it to sound great. I guess that’s an individual choice. For me, when I listen to vinyl, it’s basically a luxury, when I actually have the opportunity to sit in my studio and listen. Otherwise, I’m on the go or on tour, listening on my iPhone. It’s very hard to quantify in words what the difference is with vinyl, but, if anything, it’s a feel — the effect the audio has on you. It’s just richer, and a little more intimate. What’s your take on listening to this album digitally? To me, Passion and Warfare has such a deeply analog feel, that you just miss out on some of that in the MP3 and streaming universes. Even things like space between notes and the overall feel of For the Love of God — honestly, some of the passion that’s inherent in the song just isn’t there when you stream it, you know? Yeah. It’s almost like a haze in the background. What’s interesting is, technology is going to continue to change. My feeling is, in a relatively short period of time, the conventional download will be fast, easy, and probably at 196 [kbps]. And converters are going to continue to improve. We’re just in a transitional stage. As a content creator, you must want people to hear things in higher resolution. Yes, of course. You toil away madly to capture things at the best quality you can. I mean, we do forensic research on everything from converters to mike pre’s to EQs to the signal path we’re mixing down to. I enjoy doing that, because it’s nice when you make a discovery — if you do something in a particular way, it has an effect on the overall sound. When I pulled out the Passion and Warfare stuff and started listening to it, it was a very nice surprise. Back when that record came out, CDs had started to become popular, but all of the conversion mechanisms they had were very inferior to today’s standards. All those CDs you listened to from 10 years ago — never mind 25 years ago — are not quite the same quality as what you get today. Going with vinyl is very romantic, but it’s very hard to find vinyl that has the integrity of AAA [i.e., three A’s for an album being done all-analog at all three stages — recording, mixing, and mastering]. That reminds me of when the very first round of Led Zeppelin CDs were released, and Jimmy Page was furious about those mixes because they came from second and even third generation safety masters, not the originals. Yeah. Record companies have their own agendas, and a lot of times, they can’t even find the masters. Having those original 30ips analog masters must have been critical to you for re-releasing Passion and Warfare. When you were listening back to those original tapes, was there anything that revealed itself to you that you hadn’t heard for a while, or something that struck you differently? Yeah — how absolutely crazy I was! (both laugh) Crazy in the sense that I was able to peer into the mind of a very passionate, fearless young man. After you were done recording For the Love of God, your fingers were all bloody underneath the nails because you went to such extremes while performing it. That was quite the experience. I had to do a lot of recording, and I was rehearsing with Whitesnake [whom Vai joined from 1989–91], and I didn’t have much time to record For the Love of God. Usually, I’d let the fingers heal, but I couldn’t. They actually had blood blisters under the skin. It was extraordinarily painful, but it was a surrendering also. Did any of that pain influence how you wound up playing it? That song ultimately became such a touchstone for guitar players the world over. Did you think it would ultimately have that much impact? No, no. It had an energy for me, but I wasn’t sure what other people would think. Part of me felt, “Well, this isn’t going to go over very well.” At the time, intensive guitar playing like that was kind of passé. Listening back to the master tapes, I was able to peer into the mind of a very passionate, fearless young man. When I released it, it was such a nice surprise. In that little realm of instrumental guitar pieces, that song was well-received when it came out, and it’s only grown over the decades. For some people, certain music needs to sink in. And when it does, it’s savored. And that’s a big part of the music that’s on Passion and Warfare, because it was kind of different from anything else that was happening at the time. Anything that’s a little bit different is kind of a surprise, and I was lucky — the timing couldn’t have been better. It was a miracle, really, because when it came out, I had a certain kind of momentum. You couldn’t buy the kind of marketing that was built into it without even having to do anything. But if the record didn’t have something in it that a particular group of people liked, then it would have just dropped off. The first word of the album title is what people gravitated toward. You couldn’t deny the level of passion in the playing throughout the entire record. It’s funny, because sometimes when you’re doing things, you have no idea what’s going to happen. Without having expectations — that created an opening for me to do anything I wanted. When you think about it, if you don’t put demands on the future of something, you can do whatever you want, and that creative freedom flowed into it. And that’s what passion is, in a sense — it’s the momentum of enthusiasm. When I look back at what I did then — and have done all along — I would just search for that feel of enthusiasm. Once you get an idea that really resonates with you, you get that “Ah hah!” moment: “Oh yeah, I’d really like to do that!” If you hold onto that and not allow other thoughts to dissuade you, then you’ll be attracted to other things that will get you enthusiastic. You create the momentum of enthusiasm, and that momentum can become really powerful and really strong — and that’s passion. Do listeners experience a lesser degree of engagement with digital music files? That’s one aspect of the listening pleasure. You could listen to a crackled, bad recording of something, but if there’s a melody in there and there’s something that resonates with you as an individual — even that bad quality becomes part of the experience. When people argued over 4-bit and 8-bit, that becomes part of the quality of the experience. So the quality of the experience is individual, and there’s the same dynamic through history. If a young person is listening to music today, it almost doesn’t matter what the medium is, in a sense. It’s still going to have a particular impact on them, and if they hear something in a better quality, they might search for more of that. Ultimately, it’s the energy in the music itself that will translate into the psyche. You dedicated Modern Primitive to the memory of Frank Zappa, whom you started working with in 1978, when you were just 18 years old. What made Frank such a special, unique artist? I was just listening to some of Frank’s music earlier today — a piece called While You Were Art II, which is off of Jazz From Hell [Zappa’s Grammy-winning 1986 instrumental album]. Amazing. At any point in your life, you can discover something that can change the quality of it. And I can tell you, if you discover Frank’s music — his vast catalog, his buried treasure — if it resonates with you, it will change the quality of your life.